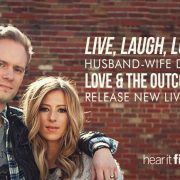 It was 2010 when Chris Rademaker and Jodi King followed a call God put on their hearts – selling their home, and lots of other stuff, as they headed out to pursue a musical adventure as the husband-wife duo Love & The Outcome. According to Chris, the experience of traveling across the world, performing their songs, was a humbling one. 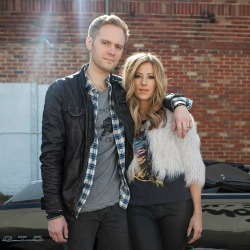 Jodi and Chris welcomed their son Milo Wolf to the family in February 2016 and Jodi credits becoming a new mom as the inpiration behind some of the lyrics in their single “The God I Know” (April 2016). 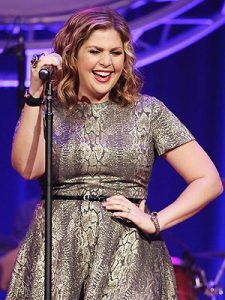 Growing up in a house filled with family, music and faith – singer/songwriter Hillary Scott comes by her musical gifts naturally. Her mom, Linda Davis, moved to Nashville in the 80’s to pursue a music career. Linda met Lang Scott while working as a receptionist at a recording studio. They married in 1984 and Hillary was born April 1, 1986. Initially home-schooled, Hillary began attending Donelson Christian Academy in elementary school and graduated from the high school in 2004. Because her parents toured a lot she lived with her grandparents much of the time. At sixteen Hillary performed with her mom and dad on the album Linda Davis Family Christmas. Now thirty she is collaborating with family again as Hillary Scott & The Scott Family. This time the family album includes her younger sister, Rylee Jean. 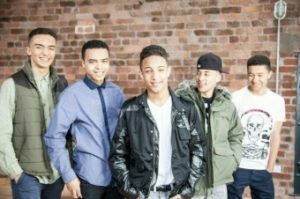 In 2016 they released their single “Thy Will” off the album Love Remains. “The idea of this album was really when my dad had sat me down right at the beginning of last year to talk about something that he felt in his heart that he wanted to do – which was make a collection of songs to send out to some really dear friends and family…it was all around my grandfather’s diagnosis, battle, from cancer,” Hillary explains. After taking time to pray and think and talk to her husband, Chris Tyrell, Hillary realized there was an opportunity to bring more depth and impact to the project so that it helped more people. So, they decided to expand her dad’s initial idea into an album for family, friends, and fans; old and new. The faith based songs and hymns draw their inspiration from several sources, including the well of emotions that developed during her beloved grandfather’s battle with cancer. 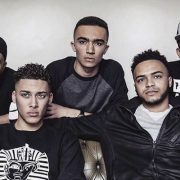 It is infused with songs that point people to Jesus Christ as their hope during the good and bad times of life. “These are the songs that are talking about the source of where my peace comes from. So, whenever you listen to it I hope you hear the parts of my heart that are bursting with joy and thankfulness but also the pieces of my heart that are broken,” Hillary reflects. Hillary, Chris and their daughter Eisele live in Brentwood, Tennessee.